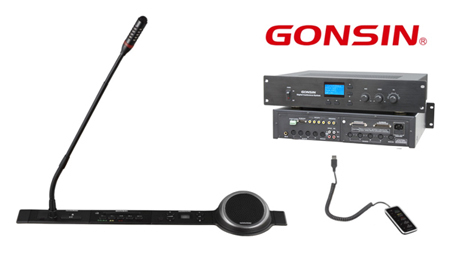 Introduction: GONSIN has years of experience in audio and video conference system solution in educational institutes such as University of Science and Technology, Tongji University, China University of Petroleum, King Abdullah University of Science and Technology and etc. 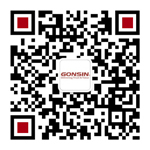 With advanced technology, stable performance and excellent quality, GONSIN products have gained consistent recognition from customers. 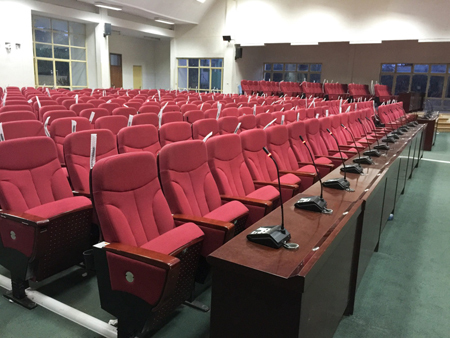 Recently, GONSIN has installed a set of multifunctional conference system in City Government of Addis Ababa Urban Management Institute in Ethiopia which supports conference discussion, voting and simultaneous interpretation. 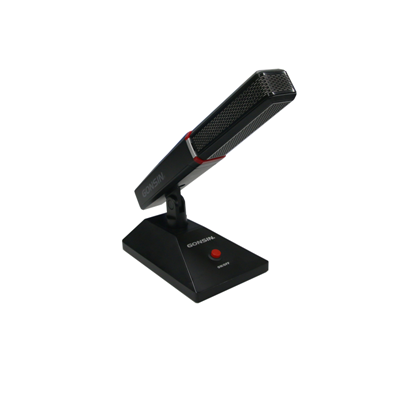 The equipment has provided a superior communication platform for students and teachers. With head office in Addis Ababa, Ethiopia, the academy was established as a federal government organization which aims to resurge Ethopia and improve students’ modern thoughts through systematic education training and research analysis. The conference hall is to hold various seminars and academic reports, requiring not only the public address and display, but also conference discussion, voting, auto camera tracking and simultaneous interpretation function. The hall has a fixed stage and the main structure is rectangular with step distributed seats and the floor height larger than 4 meters. 5, Meet the relevant international and industry standard, modular design, to ensure the system’s manageability and expansibility, to satisfy the potential function demands. 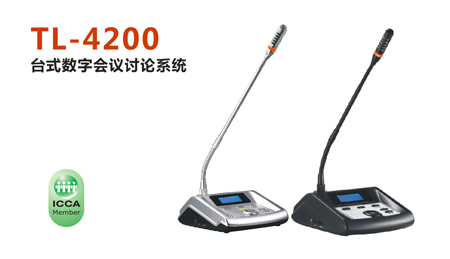 GONSIN 4200 desktop digital conference discussion system not only satisfies the basic conference demand, but also comes with many unique functions to realize attendance registration, discussion, voting, election, evaluation, interpretation and auto camera tracking functions. 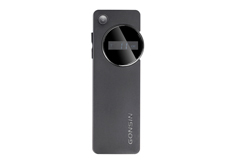 The system also comes with voice-activated function, in this mode, the microphone will be activated as the users speak. The sensitivity of voice-activated is adjustable, which makes it more user friendly for normal users and the visually impaired people. 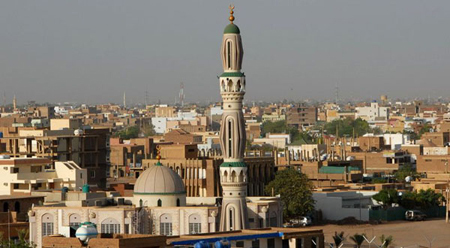 The product is successfully applied in National Assembly of the Republic of Ecuador, Sudan Friendship Hall, National Library of Tajikistan, Congress of Congo and other international conference venues. 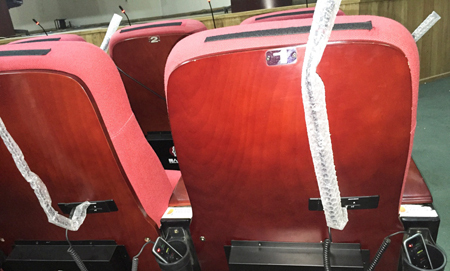 According to the desigh of step distributed seats in the conference hall, GONSIN offered 5600 series flush mounted conference discussion system, which has basic discussion unit, wired embedded voting unit or extended wired voting unit. The basic discussion unit could realize speak, request-to-speak and auto camera tracking function and comes with a port to connect the wired plug-and-play voting unit. The embedded voting unit or the extended voting unit could realize registration, voting, election, evaluation, grading( extended wired voting. Users could choose the amplifier according to their demands. The system could be voice-activated, in this mode, the microphone could be activated as the user speaks. The sensitivity of voice control is adjustable. 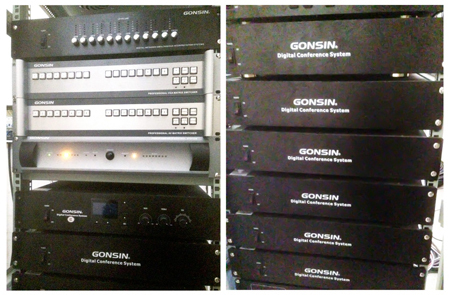 GONSIN IR simultaneous interpretation system has stable performance and clear sound. 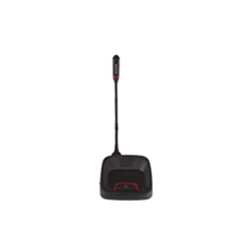 It is highly resistant to malicious interference and wiretap, ensuring the users can hear clear audio. The system can modulate and transmit up to 12 languages. With a light-weight receiver, participants can select and hear required languages. LCD screen could display the channel number, battery, signal strength, sound and other information. 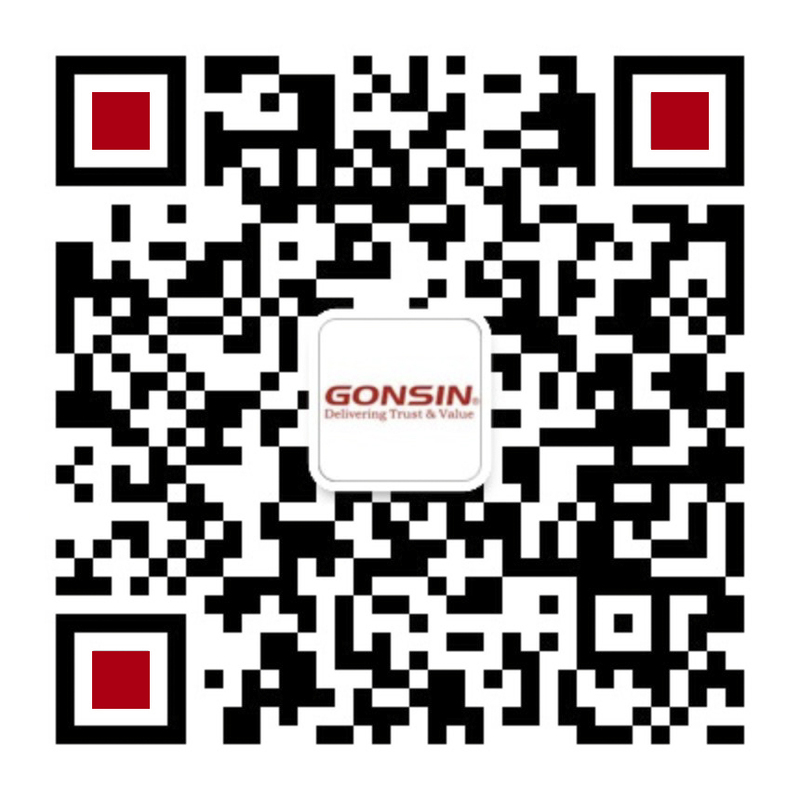 Since its establishment, GONSIN has prided itself on its independent innovation strategy and product differentiation strategy with independent intellectual property rights for its wide range of products. So far, it has won 52 patents including seven invention patents, utility model patents and appearance patents. 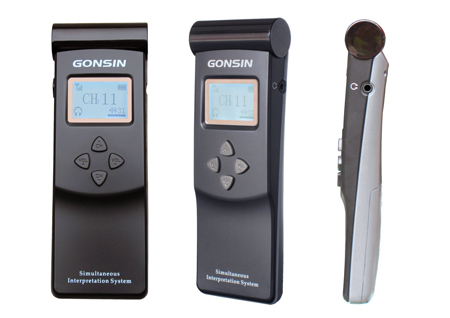 The GONSIN digital wireless conference voting system and DSSS digital wireless simultaneous interpretation system has won the honors including National Torch Project by the Ministry of Science and Technology, Guangdong Province Key New Product by Guangdong Department of Science and Technology and China's construction industry association branch of intelligent buildings "Intelligent Building Quality Products" by the intelligent Construction Branch of Chinese Construction Industry and other honors.